Dan Muller has practiced law for more than 20 years. He specializes in litigating labor and employment matters and has represented both employers and employees. Dan has obtained dismissals and successful verdicts for employers he has defended against claims brought by employees alleging unlawful discrimination and harassment, wrongful termination, failure to pay wages, and breach of contract. Dan has represented individuals, start-up companies, and other businesses in cases of alleged unfair competition and trade secret theft. Dan provides ongoing advice to employers regarding compliance with all state and federal employment laws, union elections, collective bargaining, and arbitrations. Dan has worked with numerous executive and other employees seeking assistance in negotiating employment agreements and severance agreements. Dan has also handled many cases involving business disputes, including those arising out of partnership and corporate dissolutions.  Prior to forming Ventura Hersey & Muller, LLP, Dan was a partner in the Labor & Employment practice group of Nixon Peabody LLP. Before that, Dan was a partner at Thelen, Reid, Brown, Raysman and Steiner LLP. 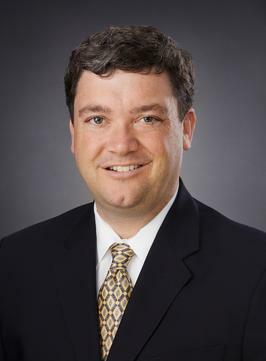 Dan also previously worked as an associate at Littler Mendelson LLP. Prior to attending law school, Dan taught speech and debate to students at a school in Los Altos, California. Dan lives in San Jose with his wife, Elizabeth, and their children, Tessa, Adeline, and Ian. Represented a small business in San Jose in connection with an environmental contamination investigation by the Bay Area Regional Water Board and related litigation with former property owners; successfully obtained an order from the State Water Board ruling that our client was not a responsible party for purposes of state law. Represented an individual former owner of an accounting corporation in connection with the dissolution of that corporation; successfully enforced a settlement agreement between the former owners of the corporation and obtained an award of attorneys’ fees. Handled numerous cases and hearings before the California Divisions of Labor Standards Enforcement, the California Department of Fair Employment and Housing, The Equal Employment Opportunity Commission, the Department of Labor, and the National Labor Relations Board. Provides ongoing labor and employment advice—including the preparation of employment policies and handbooks, advice regarding employee hiring and termination, and compliance advice regarding the full range of federal and state employment laws—to numerous small and mid-sized businesses.